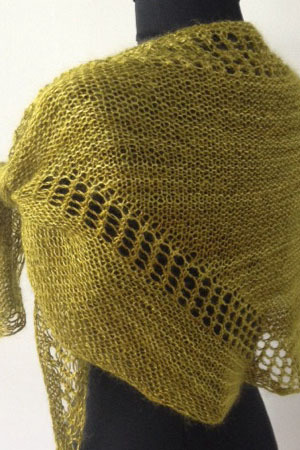 The Triangulation Shawl in Rhapsody Glitter Light 2317 Gold. Fabulous, fabulous Peridot is green, and gold, and green and gold, with gold glitter. A spectacular color. 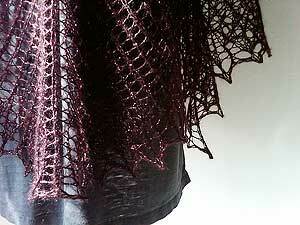 This is the color that was used in the sample of the Triangulation Shawl.